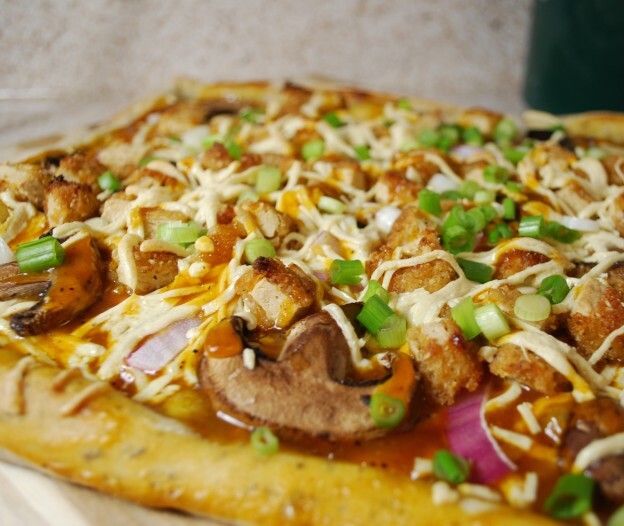 Today is Vegan Pizza Day and to celebrate I made a BBQ Chicken Pizza! When I lived in L.A. I used to order something similar from Fresh Brothers but since moving to San Diego I have not been able to get my fill of vegan pizza and I’ve been having some crazy cravings for it lately!